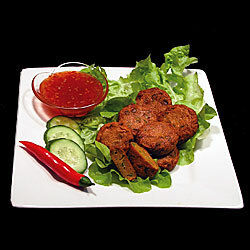 a&t thai fish cake - 1kg delicious 25gm bite size portions of fish, vegetables and specially selected thai herbs and spices. markwell prawn twister - 1kg succulent whole peeled prawns infused with coriander, green onion and garlic rolled in a crispy wonton style pastry. 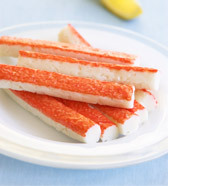 blueswimmer crab meat - claw 227g phillips crab meat is virtually shell-free, sweet crab meat that has a shelf life of eighteen months under proper refrigeration. 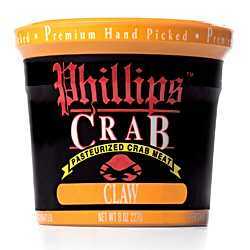 the claw meat is picked from the swimming fins of the crab. 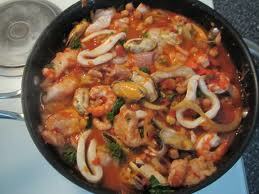 its stronger flavor profile makes claw meat ideal for dishes with heavy sauces or in dips and soups. 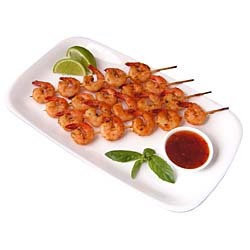 blueswimmer crab meat - special 227g phillips crab meat is virtually shell-free, sweet crab meat that has a shelf life of eighteen months under proper refrigeration. 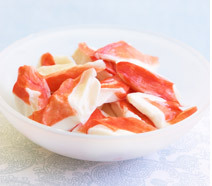 special crab meat consists of the smaller pieces of white meat from the body of the crab. 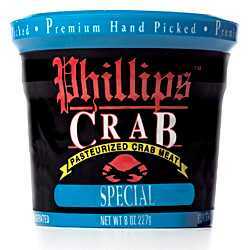 perfect for crab cakes, salads, quesadillas, wraps, soups, and crab balls.